Even chores sound exciting in space. Most of the time, when a bunch of roommates have a mess problem, it’s solved with a lot of passive-aggressive notes about whose dishes are still in the sink and who doesn’t even use the dirty microwave. Space junk is a little more dangerous than dirty dishes, so we’re glad Japan has skipped all of the snarky stuff and come up with a solution. 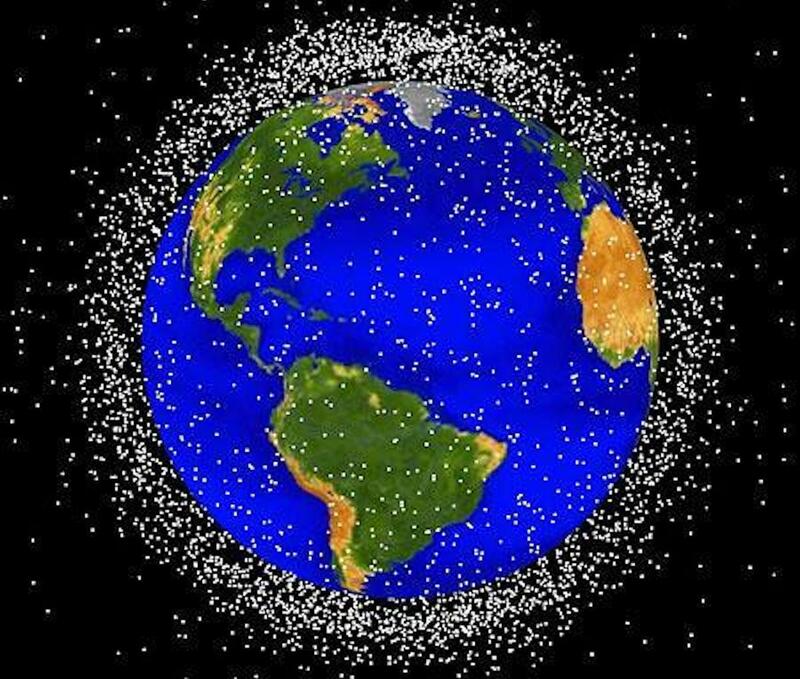 To be fair, it’s not laziness that causes space agencies around the world to leave junk up in orbit. It’s just hard to tell what belongs to whom, and no one wants their technological secrets to be discovered by another country playing space-housekeeping, so it all just kind of floats around up there untouched. Still, some of it is small and flies at high speeds, so it’s best that someone does something about it before all space missions have to make their way carefully through a cloud of flying junk-bullets. Enter the Japan Aerospace Exploration Agency (JAXA) and their super elegant solution to pull in the debris with a giant magnetic net. For real, did no one think of just catching it all in a giant net before? They’re going to test the process with a single, 300-meter wire that will magnetically attract debris, and it should be ready to go by 2019. If it works out, they’ve already got a 1 kilometer long (but only 30 centimeter wide) net all ready to go on a following mission. The real beauty of their plan is that, once the space Swiffer (not its official name, but come on) has attracted all of the debris it can, it will be released to fall and burn up in the atmosphere. That way, everyone’s secrets stay safe, and no one gets mad at Japan for moving their stuff. Now we just have to hope they don’t leave a big condescending post-it up there about how they left it clean and expect it to stay that way.